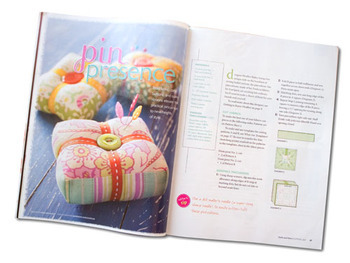 Looking for a sewing pick-me-up? 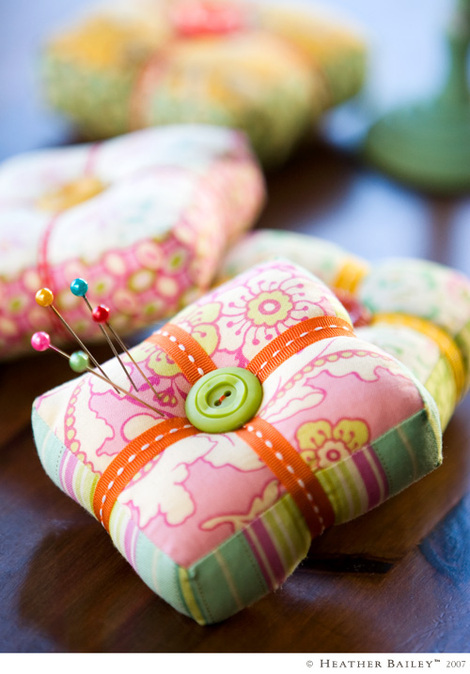 How about a new pincushion. 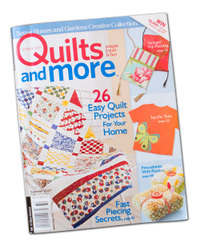 The new Summer 2007 issue of Quilts and More sports a pincushion pattern written by moi. Aren't they cute? And so simple. They also did a feature on me. Blush, blush. They asked fun questions, like "What's on your iPod?" and "What's your ideal day?" A very comfortable interview. Yes, there have been all sorts of 'secret' projects I haven't been able to share. So, I've got to make a big splash of them once they come out of hiding, like this pattern. Hence, the parade of photos. See, I've been doing stuff. 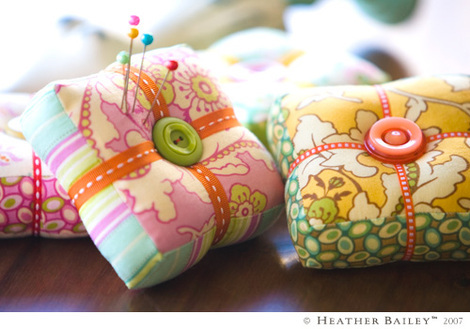 So, go get my little pattern and cover the world in pincushions. They make great presents too.